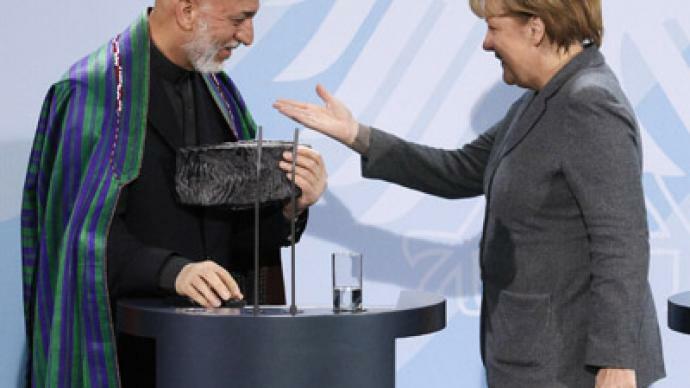 Despite its own financial woes and public discontent, Germany is giving early 150 million euro in support to Afghanistan. But critics say it is like throwing money out the window. ­The agreement that secures German cash for security training in Afghanistan after the 2014 NATO withdrawal date was signed between the German chancellor and Afghan president in Berlin on Wednesday. Hamid Karzai is on his way to the May 20-21 NATO summit in Chicago, where more financial pledges are expected. Reiner Braun from the No to War, No to NATO Network believes, while every NATO country should financially support Kabul to repair what they have destroyed, it is totally wrong to give it to the Karzai government. 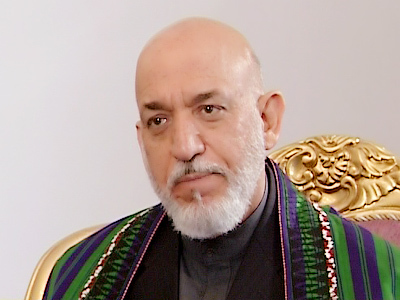 RT: Hamid Karzai himself has said $4.1 billion a year is needed. More offers of financial aid are expected at the upcoming NATO summit in Chicago. Who do you think, what countries are likely to step forward and pledge this money – some of it, all of it? Reiner Braun: The first point is there is a big disagreement about the reduction of the troops. Hollande again said that he wants to reduce French troops starting in 2012, but this is against the agreement within NATO. 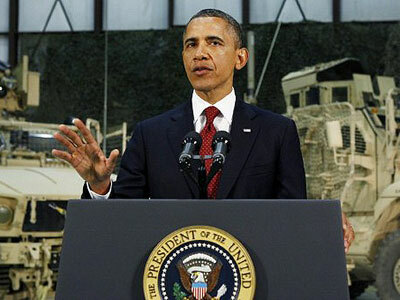 So there will be huge controversy about the date of withdrawal of the troops. The second point: I think all the countries in NATO have to give money for paying the reparation for the country which they have destroyed. The main point again is who will get the money? If there were a democratically-elected government in Afghanistan or there is a civil society which we can support or there is a totally corrupted Mafioso system where we spend the money. And we are totally against giving the money to Karzai, because we are supposed [to be] giving money to the people. Then we need new democratic structures in the country. RT: Germany's offer comes smack bang in the middle of the European debt crisis. So is it really in a position to make the pledge, when it's surrounded by so much fiscal financial worry right now? RB: The problem is not the money, the problem is that the German troops will not withdraw totally from Afghanistan. 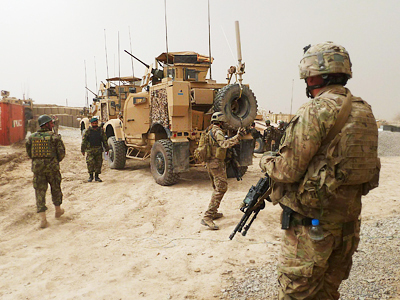 There will be the rest of German troops staying and fighting in Afghanistan. This is the opposite of the withdrawal. So our main concern is that the German troops and the NATO troops will not leave the country – due to the end of 2014 – but still continue staying there. This is the main point of negotiations between Karzai and the German government. The second point which is highly interesting and underlying all the arguments is that Germany will help getting rid of the natural resources in Afghanistan. This means we will get these natural resources from the country. This is not a peace process. This is the process of continuing occupying the country and continuing being interventional army. That is what we are protesting here in Chicago. That is not a solution for Afghanistan. Afghanistan needs negotiations of all partners in the country and all countries in the region for coming to a peace process. 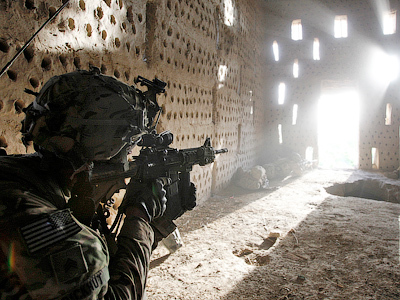 RT: The Taliban proved impossible for US forces to defeat after a decade. 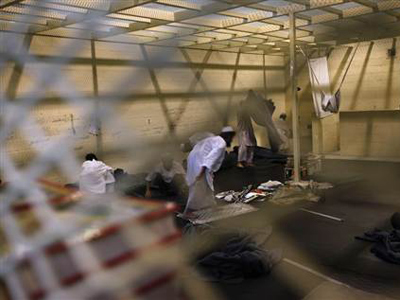 How can President Karzai and his own security forces cope? Who will he need to rely on for help? RB: From my understanding, there will be no military solution of the war. There is the balance between the two powers. On the one side NATO and Karzai troops and on the other, what we call the Taliban, which is a huge mixture of different forces. I think the only possibility [is] to find the solution and negotiations with all forces which are engaged and fighting in Afghanistan and the surrounding countries. To support only one part of these forces, including the Karzai government will not help to find the way for peaceful solution of the problem. It will only strengthen the people who are corrupted to the depth and have been exploiting the country during the last 10 years.